Author Jan Carson brings her brand of magical realism to stories from the sea between Scotland and her Northern Irish home. Author Jan Carson mixes strange and otherworldly experiences with ordinary, everyday life. 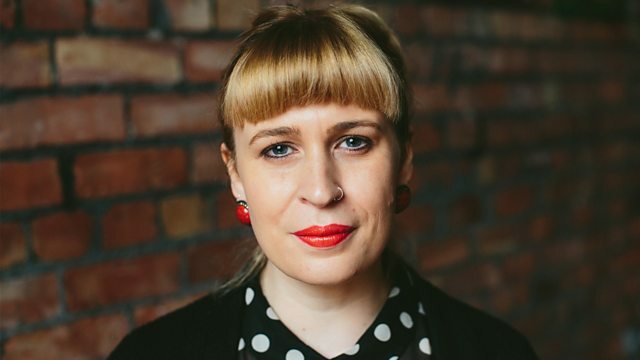 Hailing from rural County Antrim, her voice is almost a blend of Northern Irish and Scottish accents and Jan says her writing comes from the in-between. But liminal spaces can be full of longing and the tides are shifting from place to place. Are you here or there? Arrived or leaving? It can sometimes be hard to tell which side you're on. In our uncertain times, Jan brings us stories from the short stretch of the Irish Sea between Scotland and her Northern Irish home. As ownership shifts with the rumbling tide, who's to say which is Scottish and which should be told in a Northern voice? Here becomes there and everything's muddy and it can be a dangerous thing to cross a dividing sea.